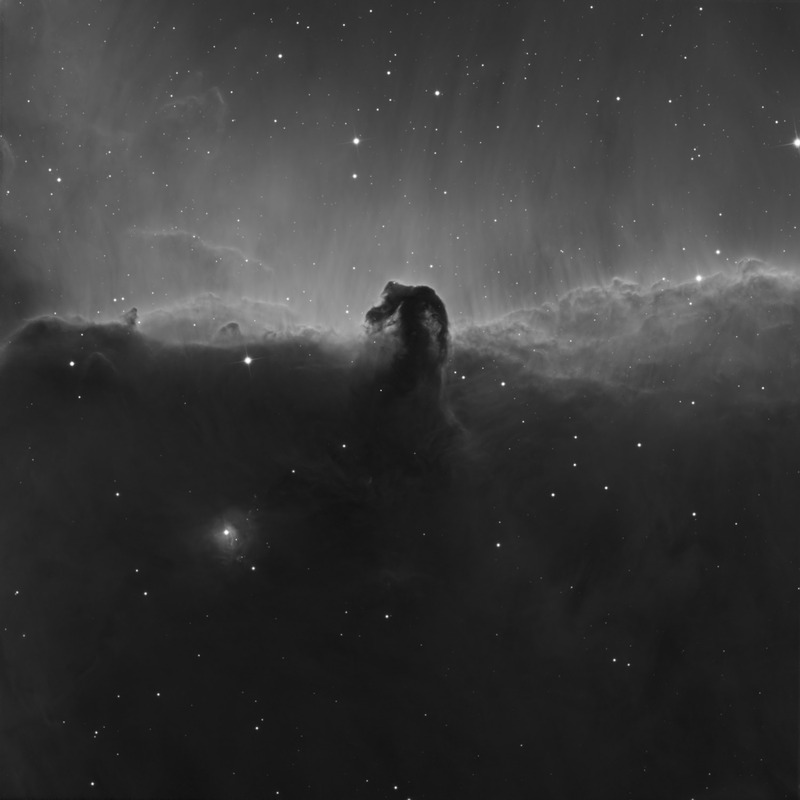 IC434 The Horsehead Nebula is approximately 1500 lightyears from Earth in the constellation Orion. 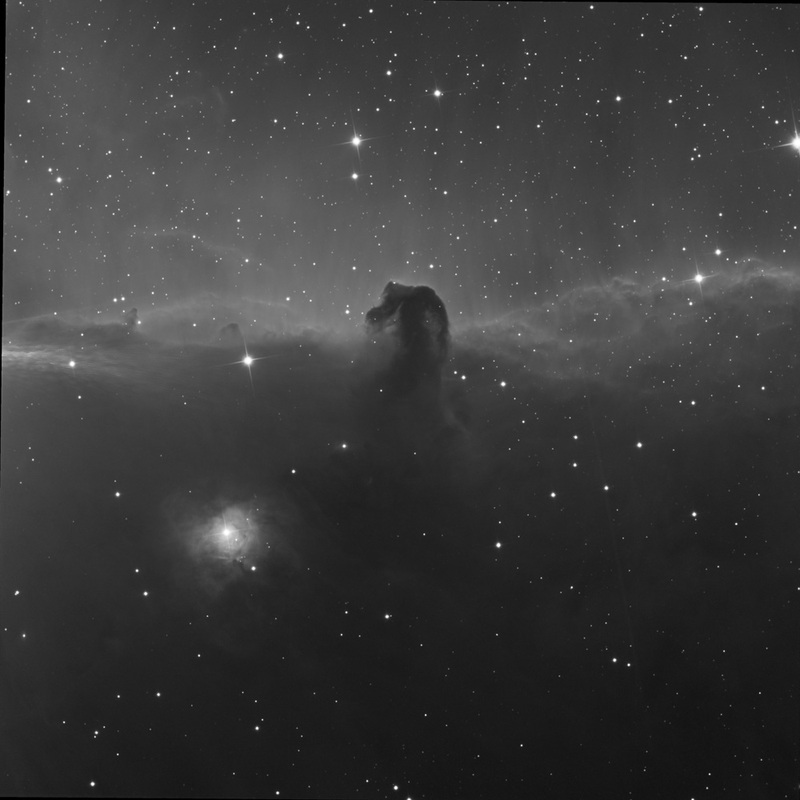 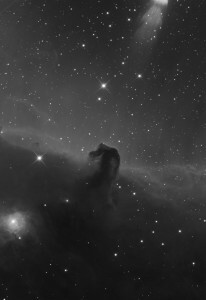 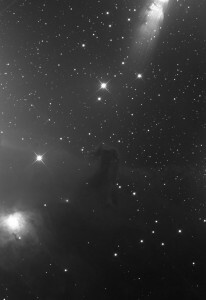 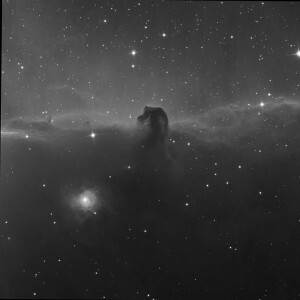 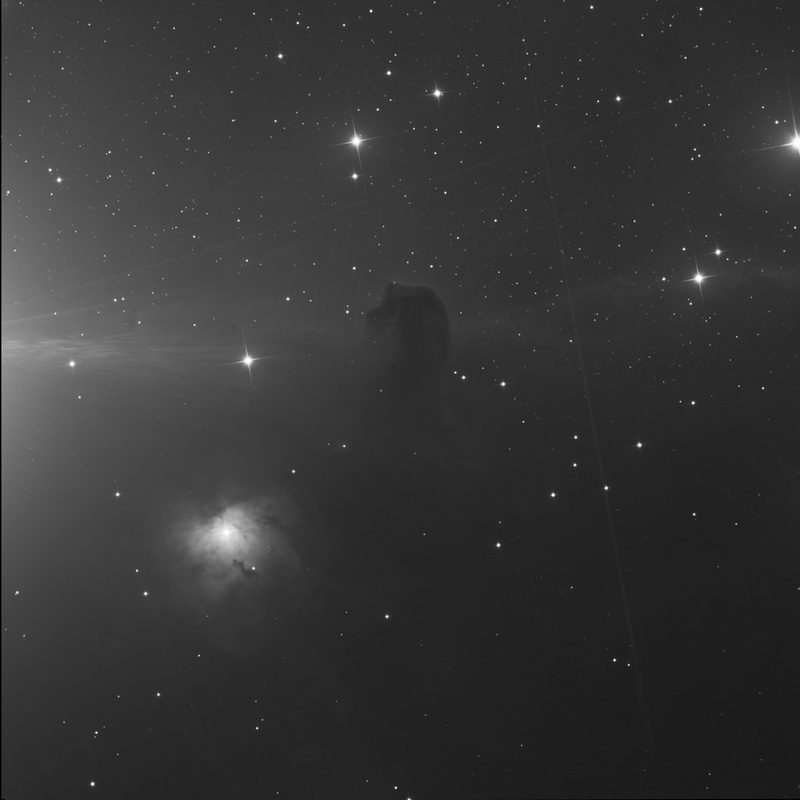 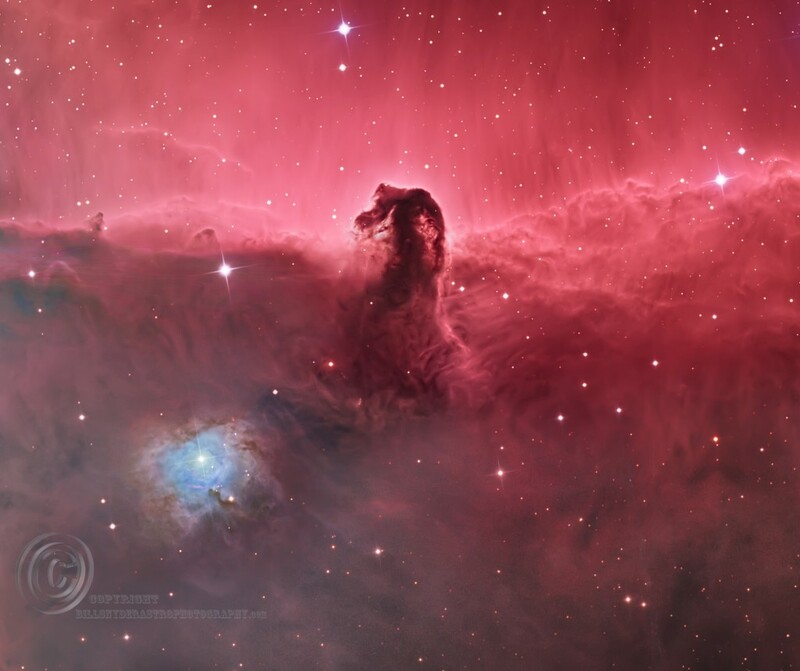 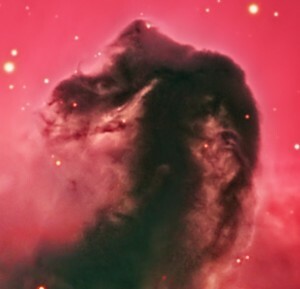 The Horsehead it self, is a dark nebula surrounded by emission nebula. 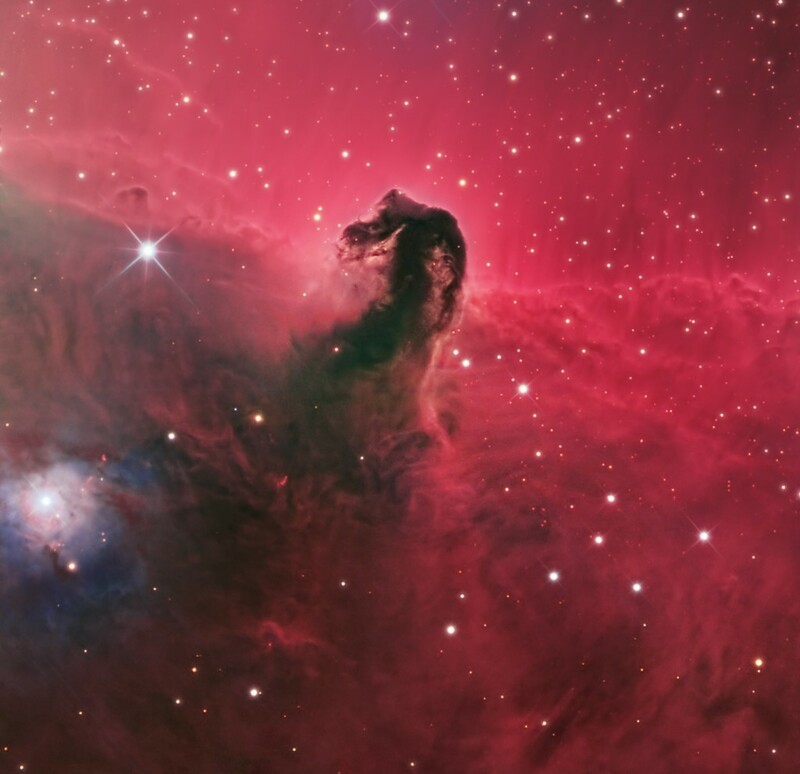 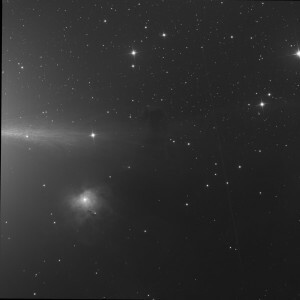 The reddish glow surrounding the dark dust clouds of the horsehead is hydrogen gas ionized by the bright star Sigma Orionis. Bright spots in the Horsehead Nebula’s base are young stars just in the process of forming.